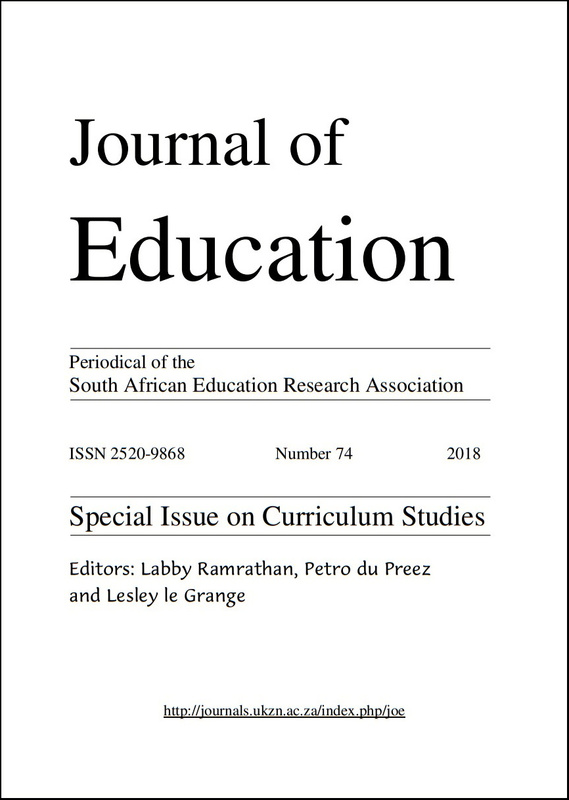 Authors retain copyright of their work, with first non-exclusive publication rights granted to Journal of Education. Authors agree that any subsequent publication of the article will credit the Journal as the site of first publication and provide a link to the Journal website. Authors contributing to Journal of Education agree to publish their articles under the Creative Commons Attribution-NonCommercial-NoDerivatives 4.0 International License, allowing third parties users to copy, distribute and transmit an article as long as the author is attributed, the article is not used for commercial purposes, and the work is not modified or adapted in any way, and that in the event of reuse or distribution, the terms of this license are made clear. Note: Authors who may need to comply with the particular open access requirements of their funding bodies can apply to JoE for a more liberal licence, such as Creative Commons CC BY.